The study, Impact of controlled neonicotinoid exposure on bumblebees in a realistic field setting, assesses the effect of exposure to the neonic, clothianidin, on bumblebee foraging patterns and colony size. Clothianidin was given to 20 buff-tailed bumblebee colonies for five-weeks in a sugar solution at a concentration of 5 parts per billion, an environmentally relevant level of the pesticide. A bumblebee colony census was done before and after the field experiment, where the number of eggs, larvae, pupae, and workers bees were recorded along with the wax and pollen stores in the colony. 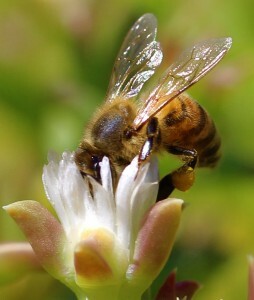 The researchers found that the clothianidin treated colonies had fewer workers, drones and reproductive female bees compared to the colonies with no exposure. These data add to the growing body of research on sub-lethal effects, which must be considered when looking at the effects of pesticides on non-target organisms. This study adds to the body of science that has examined the effects of neonic exposure to bee colonies under field conditions. However, neonic pesticides have long been identified as a major culprit in bee decline by independent scientists and beekeepers, yet chemical manufacturers like Bayer and Syngenta have focused on other issues such as the varroa mite. As Beyond Pesticides wrote in the 2014 issue of Pesticides and You, the issue of pollinator decline is No Longer a Big Mystery, and urgent action is needed now to protect pollinators from these toxic pesticides. Neonics are associated with decreased learning, foraging and navigational ability, as well as increased vulnerability to pathogens and parasites as a result of suppressed bee immune systems. In addition to toxicity to bees, pesticides like neonicotinoids have been shown to also adversely affect birds, aquatic organisms and contaminate soil and waterways, and overall biodiversity. These findings follow on the recent decision by the U.S. Fish and Wildlife Service (FWS) to add a group of bees to the Endangered Species List. FWS published a final rule in early October that declares seven species of yellow-faced bees that are native to Hawaii as endangered. This announcement follows the FWS’s proposed listing of the rusty patched bumble bee as an endangered species under the Endangered Species Act (ESA). FWS says that it needs additional time to identify specific areas to be designated as critical habitat for the endangered bees. Further, though FWS has identified many threats to bees, including habitat loss and degradation due to urbanization, and other human activities, the final rule does not specifically point to pesticides. However, there is an overwhelming number of research studies demonstrating that neonicotinoid insecticides, working either individually or synergistically, play a critical role in the ongoing decline of bees and other pollinators. Over the past decade, numerous studies have illuminated the negative effect that neonics have on different pollinator species, but until now little research has been performed on the chemicals’ long-term impacts. The results of this recent study provide additional evidence that links the sublethal impacts of neonic exposure and large-scale population extinctions of wild bee species. 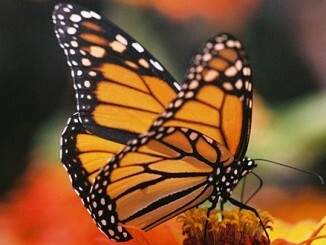 Despite limited action in the United States by federal agencies and Congress to discontinue the use of neonicotinoid insecticides and toxic pesticides in general, consumers and advocates around the country can create safe pollinator habitat and encourage local governments to do the same. Ultimately, the widespread adoption of organic management is necessary to protect pollinators and the environment in the long-term. Farms or other land areas that are managed with chemical-intensive practices turn habitat into pollinator killing fields. Beyond Pesticides has long sought a broad-scale marketplace transition to organic practices that prohibits the use of toxic synthetic pesticides by law and encourages a systems-based approach that is protective of health and the environment. For information on growing plants to protect pollinators, see our Pollinator-Friendly Seeds and Nursery Directory. Use the Bee Protective Habitat Guide to plant a pollinator garden suited for your region, and consider seeding white clover into your lawn. You can also declare your garden, yard, park or other space as pesticide-free and pollinator friendly. Sign the pledge today! More information on the adverse effects neonics can be found in the Beyond Pesticides’ report Cultivating Plants that Poison. Garrison Keillor Skewers Donald Trump…Again.